Bring your horses!! The perfect hobby farm that is minutes from I-20, STANTON SPRINGS, & Covington's THREE RING STUDIO. 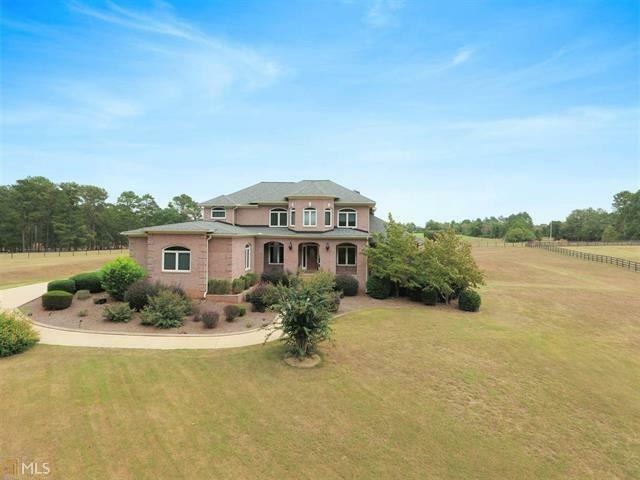 Stunning 5BR, 5.5BA w/ several upgrades including lofty ceilings, large full-length windows overlooking property, solid surface countertops in the kitchen & bathrooms, huge master suite w/ a jetted tub & oversized closets, tons of garage space, 2 septic tanks, & finished basement w/ a 2nd kitchen, full bathroom, storage space, & rec room perfect for in-law suite. Beautiful kitchen w/ SS appliances & a bright breakfast area. Only 45 miles to Atlanta.